This is usually what my preparations for Christmas decorating look like: baskets and boxes filled with items from years of adding to the collection of ornaments. But Christmas in my house is not complete without shiny stuff! The shiny flowers on this wall hanging were added using Deco-Foil by Therm-O-Web giving the whole design a fun effect. The sun was behind the quilt when I took these pictures (Ugh! What was I thinking???) 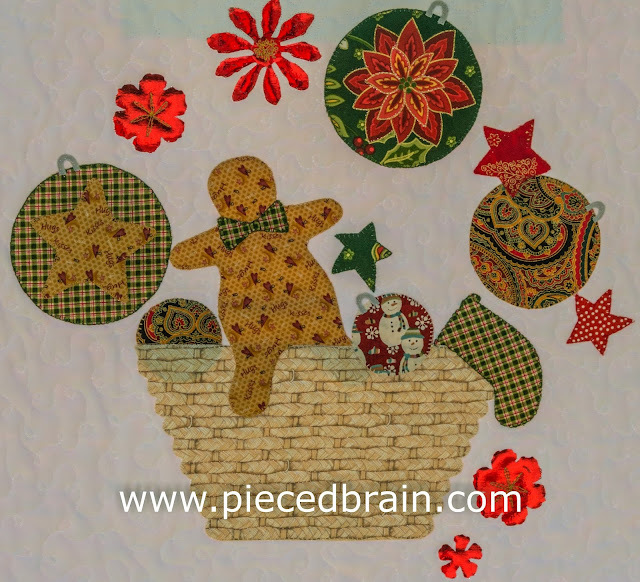 so you can see the shapes behind the applique basket and the hanging sleeve. I was in a hurry and only noticed it when it was too late. 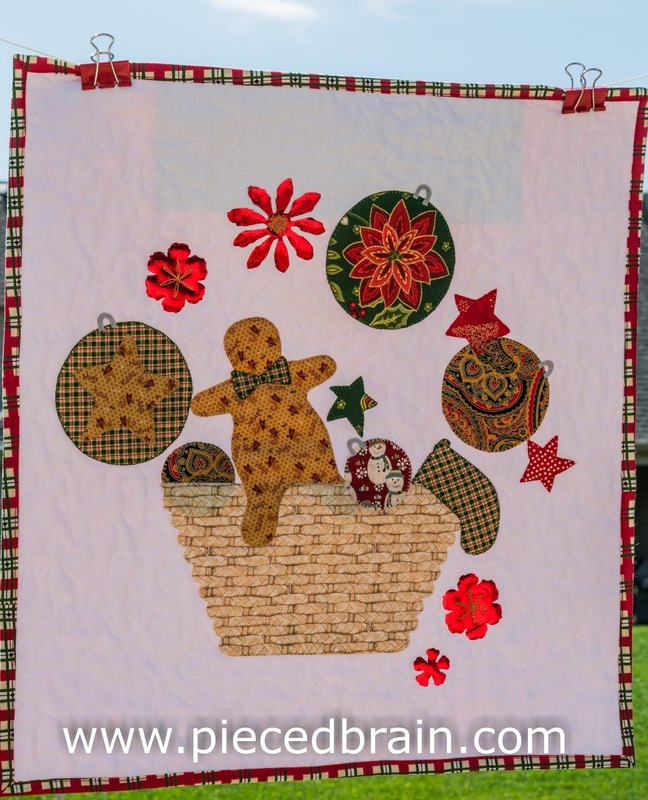 However, I think you can still focus on the other details... for instance: the quilting was done with Aurifil 50wt white using simple loops, reminding me of tangled strings of Christmas lights. Digging into my drawer of Christmas fabrics I found different prints, combined here to represent the mix of the collection (traditional, whimsical, country, etc). All the shapes were fused with HeatnBond Lite by Therm-O-Web and appliqued with blanket stitch - my favorite. I liked setting everything against a white [snowy] background. What are the chances it will snow in Utah the day after Thanksgiving, which is usually when we decorate the house for Christmas? We will see! I will be linking this post to Crazy Mom Quilts and Confessions of a Fabric Addict on Friday.